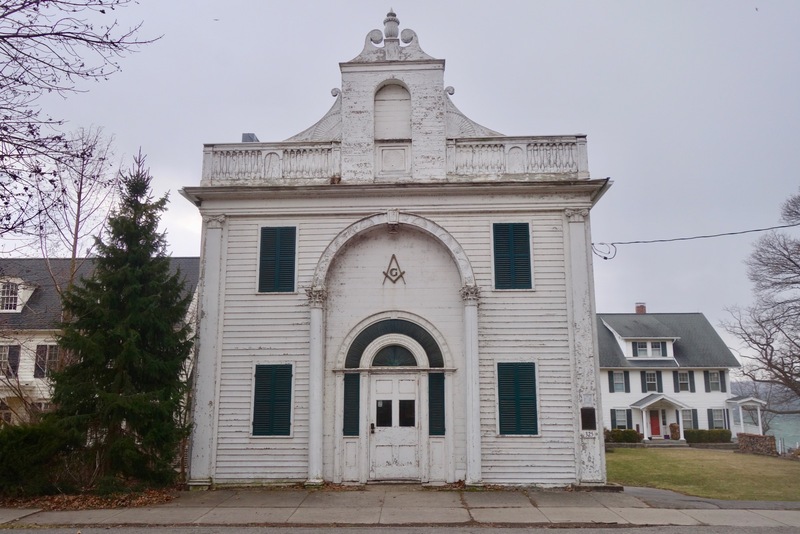 We peeked in the windows of this old Masonic Lodge building when we were down in Aurora. They were apparently still using the place for meetings. The space was sort of an open plan like a small church. It’s one of the few buildings in The town that hasn’t been restored by the Inn owners. Standing outside the front door you could see right through the building to the lake. In these dreamy small towns, that are at least a century past their prime, I always find myself entertaining an old fantasy, really just momentarily picturing what it might be like living in a rehabbed building in the center of town. But before it even comes into focus I dismiss it. I know it’s impossible. At Pete Monacelli’s opening, where a series of works were titled “Searching For Home.” he told me why he left his hometown of Albion. The scenario where he opened a space where teens could hang out only to find the principal of the school and the local cops did everything they could to shut him down pretty well sums it up.